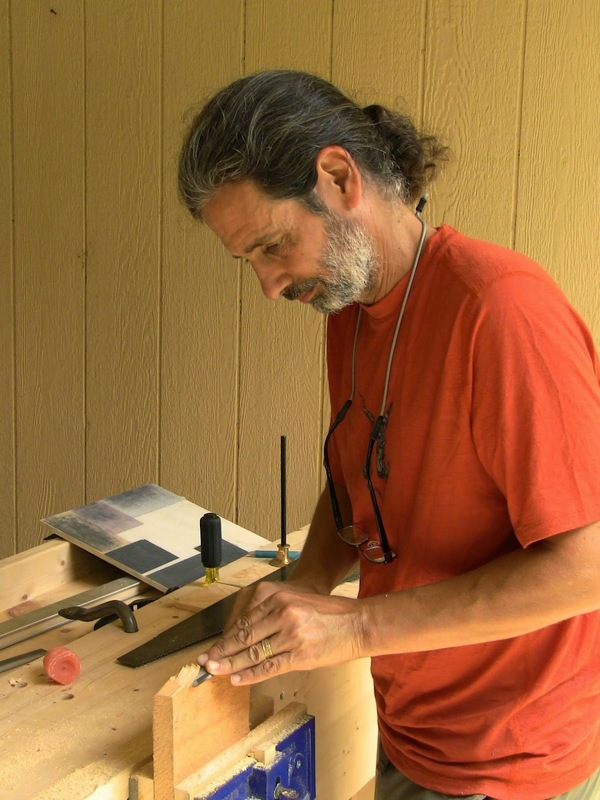 Charles Collins testing out his newly sharpened chisel on a scrap of pine. It left a beautiful glassy surface. Today I had a private class at the Close Grain School Of Woodworking with Charles Collins, who moved from Texas to New Hampshire a couple years ago. 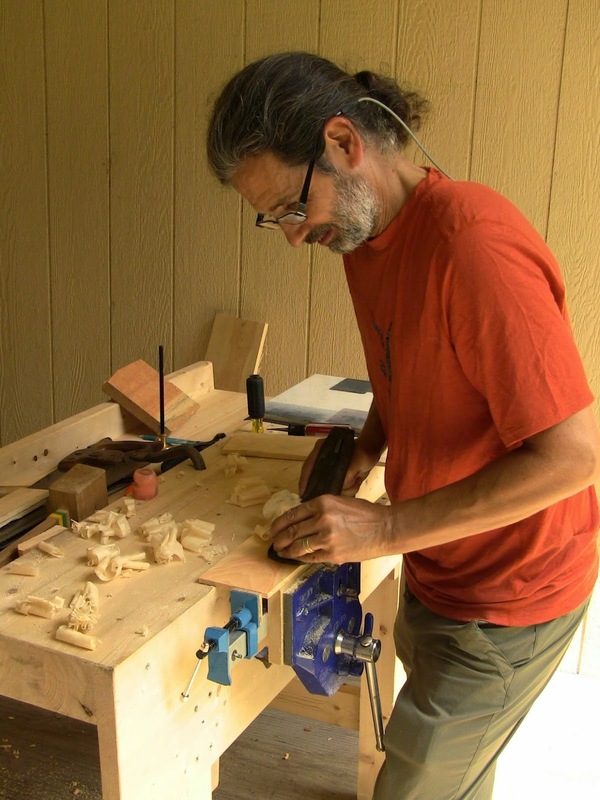 After seeing the League Of New Hampshire Craftsmen's Annual Craftsmen's Fair at Mount Sunapee Resort, he decided he wanted to learn woodworking (this year's fair runs this week, where you can also see the Guild Of New Hampshire Woodworkers tent). Like most beginners, he's been learning by reading books and watching videos, and was interested in some hands-on instruction. 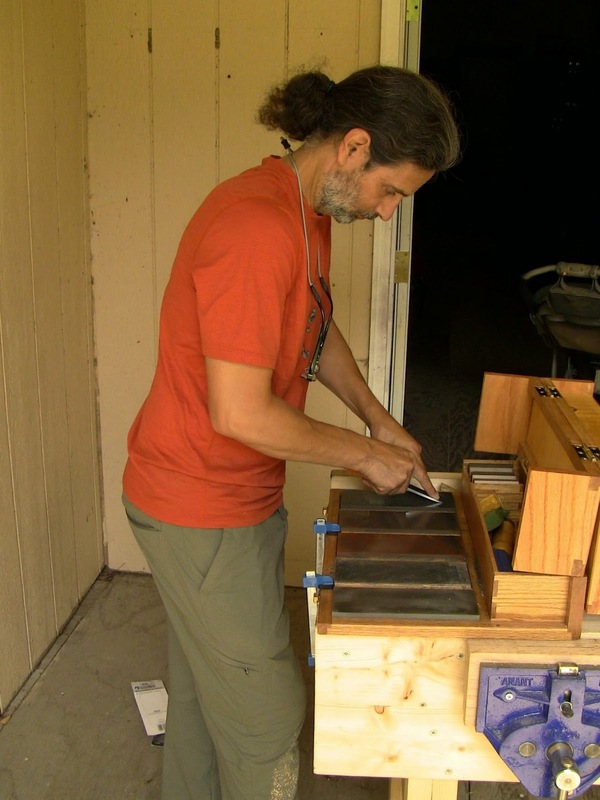 We went over sharpening and details of sawing and stock preparation. He has a number of new tools and some inherited from family members. One is a 1920's-era Stanley #4 that he got from his great-uncle, that he believes belonged to his great-grandfather. As always, the family connection to past generations makes the tools sweeter. I had him bring a cheap home center chisel set and plane iron for practice. I had a variety of sharpening media setup, Norton oilstones, Norton and Ohishi water stones, and DMT Duo-Sharp diamond plates. He's been using sandpaper on glass. We went over the pros and cons of the various setups, and he decided to focus on the oilstones. I demonstrated how to sharpen chisels and plane irons, then had him do it with his practice blades, starting with flattening and polishing the backs on sandpaper adhered to a polished marble tile. This back preparation really helps produce an edge that leaves a silky smooth surface. Then he was ready to tackle his great-grandfather's plane. He got the iron tuned to a fine edge that was able to shave pine end grain easily. Preparing the back of his great-grandfather's plane iron. Sharpening the iron on the oilstones. Next we went over saw sharpening and sawing techniques. I had him do several crosscuts, then rip a 1"-wide strip off the edge of a 4' board, practicing steering the saw off track and then back on. Then I showed him how to resaw a small piece, and he tried it on a larger piece. He was very happy about this, because he wants to make up some thin panels for a project he's working on. Resawing a board into two thinner pieces. 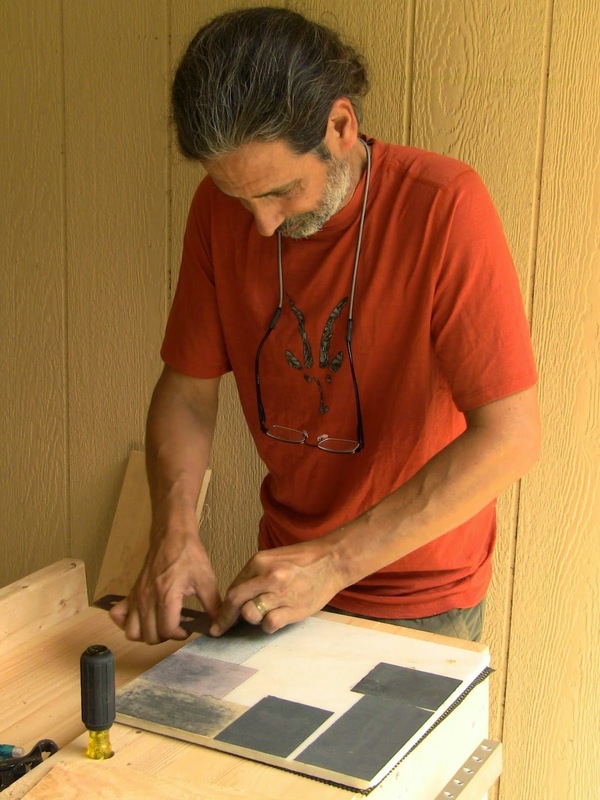 Once he had two thin pieces, he used his great-grandfather's plane to flatten the resawn faces. A #4 is a bit short for flattening, but he wanted to see what this plane could do. With the iron set a bit rank and a scribble of wax from a candle on its sole, it took the surfaces down quickly. He finished up by matching the planed faces and jointing the edge as he would for gluing-up a wider panel. Again, this is a short plane for jointing, but it did fine. 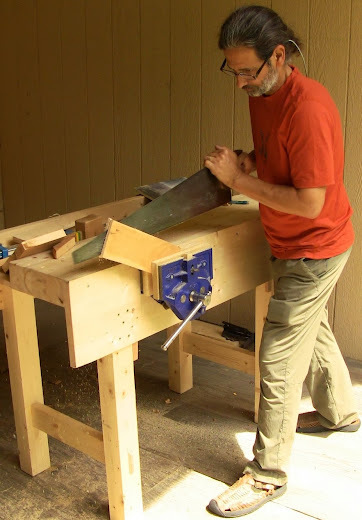 If you're interested in private or group hands-on instruction, see the Close Grain School Of Woodworking page.